As an engagement session photographer serving the Los Angeles and Orange County areas, I know that locations can make all the difference when seeking to create a beautiful portrait. 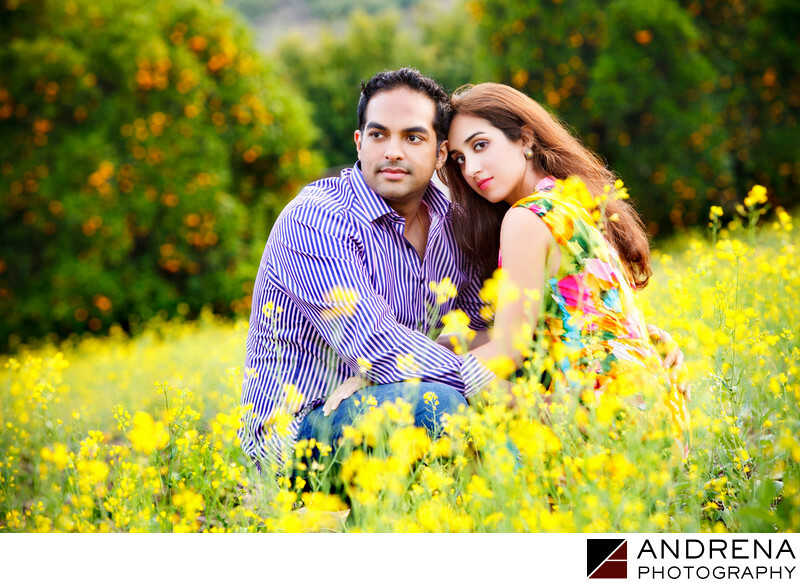 This engagement session was shot in a beautiful mustard field with an orange grove in the back. Sadly, this located was razed, and no longer exists. I am happy I got to shoot there a few times before it disappeared. This couple had a Sindhi wedding at the Ritz-Carlton in Laguna Niguel. Their engagement session took place just a few days before their actual wedding, as they live in New York and their schedules didn't work out prior. The bride unfortunately had a cold, but she rallied for the session, and looked absolutely lovely. Engagement session photographed in Orange County, California.